Beurre Essentiel contains protective and conditioning qualities that make it an excellent choice for all skin types. 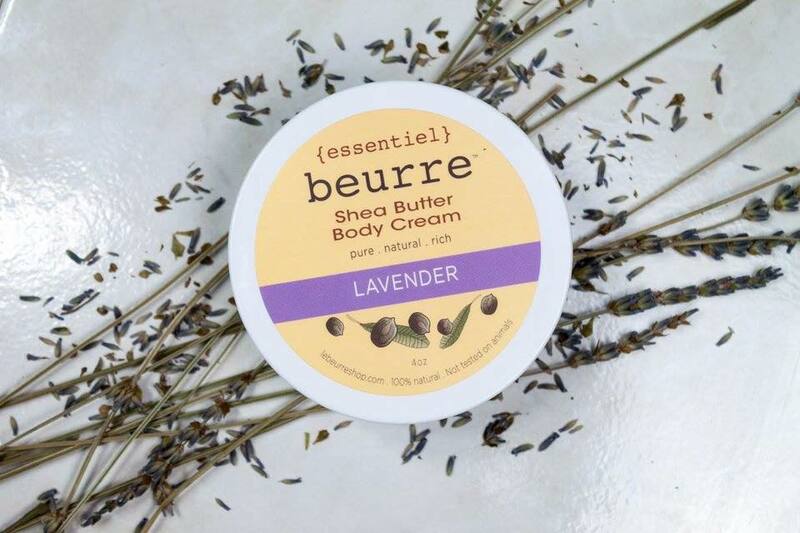 Infused with skin quenching oils such as grapeseed, jojoba, vitamin E, and blended with healing power of aloe vera liquid, Beurre Essentiel immediately melts into your skin, penetrating it with nutrient rich moisture. The texture and elasticity of your skin will improve dramatically with daily use, making it a superb natural skin care treatment.